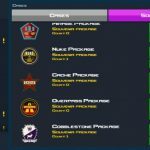 Just when you thought we were done offering Case Clicker tips and tricks, you’ll want to think again. This surprisingly popular game for Android and iOS from Hawk Games comes with arm deal contracts, “just like in real Counter Strike”, as well as tons of upgrades, skins, stickers, weapons, and more. There are over 150 achievements and miscellaneous mechanics that we had touched on quite a bit in our previous Case Clicker guides. But for now, we’ll be dealing with something brand new, something we were not able to cover when we were putting out those tips and tricks. Jackpot Mode is one of the most expensive things to unlock in the game, and you can unlock it by spending 1,000 cash at the unlock store. 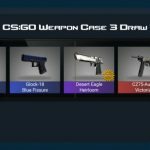 This will allow you to bet weapons, skins, and stickers, but the tradeoff here, of course, is the potential to win a lot of in-game money. So, with that being said, let’s get to those Case Clicker tips and tricks for winning in Jackpot Mode. 1. How Do You Unlock This Mode Anyway? It’s very easy, as we told you above – just go to the Upgrade Store, specifically the bottom part, and spend a thousand dollars so you can unlock it. But earning that $1,000 is another story. Once you’ve gotten a few upgrades for tapping, go to the main screen, and tap for about 20 minutes as you string together combos and earn more and more money. Or simply tap until you’ve got $1,000 ready to pay for Jackpot Mode. Once it’s ready to unlock, you’ll find it on the left part of your menu screen. Add the items you want to place as your bet, hit on the Start Jackpot button, and see how much money you can win. Payouts can change for the better as you keep on playing Jackpot Mode, while the chance of winning (in percentage) can also change, albeit for the worse. 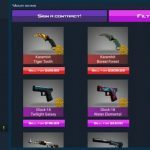 If you notice that the payouts increase too slowly or the odds of winning drop too quickly, then go to Jackpot Skin Prices. You can then change the skin price as you see fit – options include Very Low, Low, Normal, and Above Normal. This can be done at any time during the jackpot. Then again, you may also want to pause the jackpot in the middle by hitting on Stop Jackpot. You can then restart it till you’ve got a perfect 50 out of 50, thus giving you a much, much better chance of hitting the jackpot and winning big. This process of rerolling isn’t an exact science, but it does work for some. 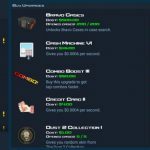 Aside from adjusting the sticker price, as we suggested, you can also add items – weapons, skins, stickers, etc. – to improve your chances of winning. The higher the value involved, the better your odds would be to win the jackpot. In fact, betting rare items could greatly improve your chances of winning in Jackpot Mode.